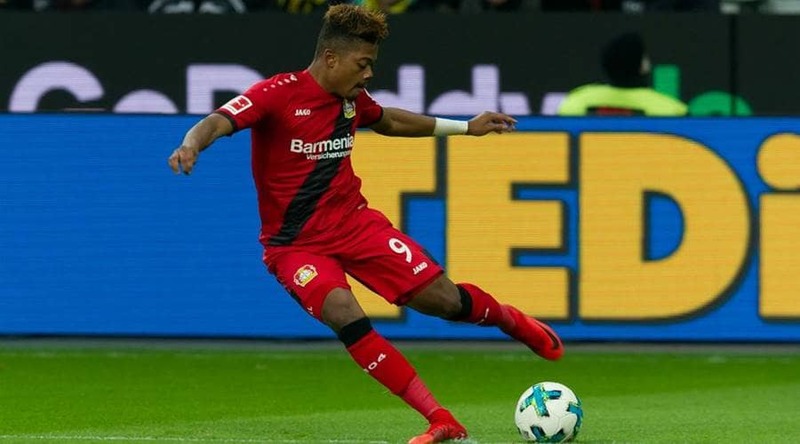 Chelsea has jumped ahead of Arsenal, Liverpool and Manchester United in the race for Leon Bailey. The Bayer Leverkusen youngster has been in fine form this season. His contribution of 10 goals and 5 assists in 21 games this season has attracted interest from a lot of European heavyweights. Reports from Germany via Kicker are claiming that Chelsea is Bailey’s favourite club and his most likely destination when he moves to the Premier League. Bailey, on his part, has never kept his desire to play in the Premier League a secret. “Of course I have a dream club but I will not tell. Basically, England was and still is my dream. And if I keep working hard, I’m sure it’ll work someday. The change to Bayer was just the right step for my development,” Bailey revealed previously. Despite the youngster’s wishes, he will not be let go easily by Leverkusen. They rate the Jamaican as high as Barcelona’s Ousmane Dembele. The 20-year-old Frenchman moved to the Camp Nou from Borussia Dortmund last summer for a mammoth fee of £97 million. Leverkusen wants a similar fee for Bailey with £100 million being quoted by several media reports. Chelsea will have to make him their biggest ever signing to bring him to the Stamford Bridge. Now that Hazard’s being linked with a move away to Real Madrid, Bailey’s arrival will result in a readymade replacement for the outgoing Belgian. This will come as a welcome news amidst a bleak period for the Blues. Conte has constantly aired his frustrations with the club’s dealings in the transfer market. However, should the officials at the Bridge manage to bring in Bailey, it will be seen as a huge coup. Given the interest from various clubs, Chelsea should ac immediately and bring him to London as soon as possible. The post Chelsea given boost in pursuit of £100 million Rated Bundesliga Star appeared first on The12thMan.